On 21 September, United Nations Civilian Capacity Project launched its civilian capacity initiative called CAPMATCH. CAPMATCH system aims to support post-crisis recovery. Ms. Cliffe highlighted the importance of strong national institutions. The inclusion of the internal capacities in the process of politics, security, judicial, and economic can prevent the conflict. CAPMATCH is the UN’s new platform for matching the supply and demand for civilian capacities. Member states, UN field missions, and UN country teams now have an online global community to search for specialised capacities, share experiences, collaborate, and offer their expertise. “CAPMATCH is based on an equal partnership between countries. With the key principles of inclusivity, transparency, and dialogue amongst governments, and Civil Society,” stated Ms. Cliffe. There are five specialised areas covered by CAPMATCH including safety and security, justice, inclusive political processes, core government functionality, and economic revitalisation. “CAPMATCH is organised around key gap area, for example, the economic revitalisation,” said Christopher Coleman, the Director of Civilian Capacity Project. Mr. Coleman mentioned some member states that are providing their expertise including Indonesia in local economic recovery, Spain in engineering, Thailand in South-South cooperation, Rwanda in local empowerment, Brazil in violence prevention and reduction, Norway in capacity building of local government and society, and Switzerland in supporting economic revitalisation in regions affected by conflict and promoting private sector development. Ivory Coast and Timor Leste are among the first participants of CAPMATCH platform. During the Q&A session, Matthew Russell Lee from Inner City Press asked about the UN role in CAPMATCH. Ms. Cliffe responded that the system (CAPMATCH) can be used by UN missions but it’s not exclusively for the UN, it is also for government and Civil Society for example the need of expertise for media training. 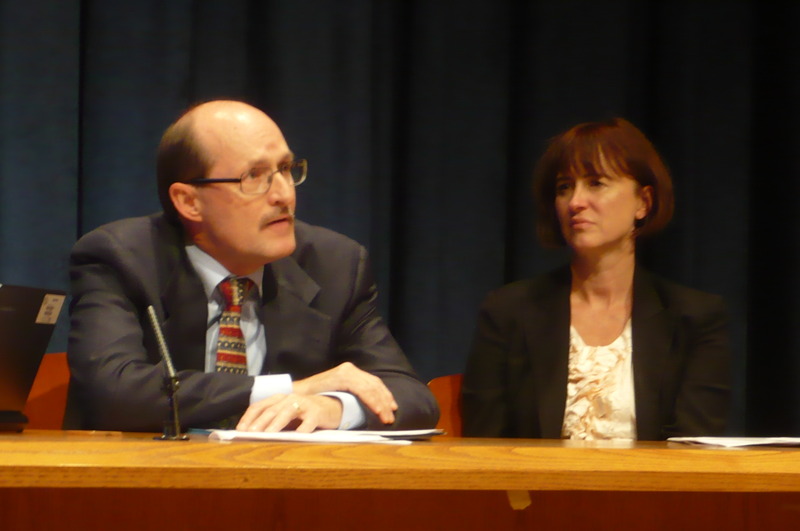 “The system can also provide transparent feedback for the provider,” said Assistant Secretary-General Cliffe. Another question raised was whether the Civilian Capacity Senior Advisory Group still exists. Director Coleman said that Civilian Capacity team have been working closely for the last 18 months with the Civilian Capacity Senior Advisory members who are based in New York, “They provided the insights to make sure that the Secretary-General Report on Civilian Capacity in the Aftermath of Conflict is implemented,” said Mr. Coleman. In response to the last question from Matthieu Vaas of Inter Press Service about the reliability of CAPMATCH platform in the future, ASG Cliffe closed the press conference by assuring that CAPMATCH will always be updated because the system is based on government and Civil Society’s human resources and expertise’s availability to fulfil the demands. 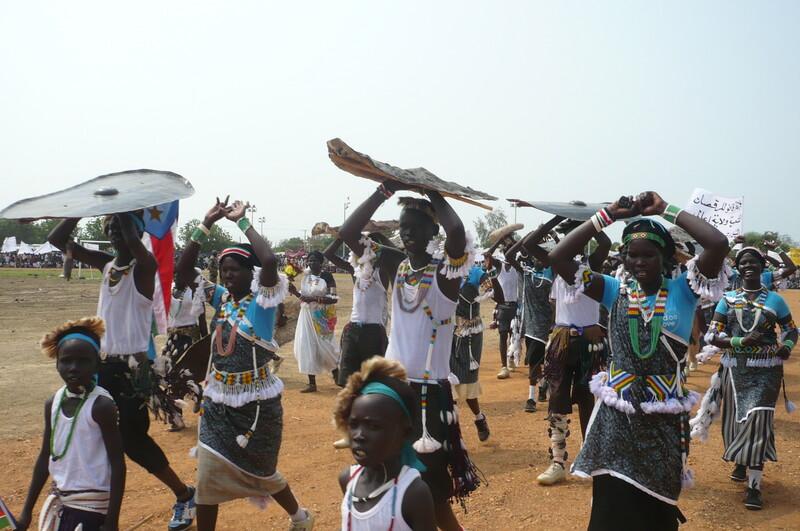 4 July 2011 – An UNMIS team visited Kaldak payam (township) in Jonglei State today to assess the security and humanitarian situation following the 23 April clashes between the Sudan People’s Liberation Army (SPLA) and the rebel armed group affiliated with Gabriel Tanginye. An estimated 254 people died and another 250 were wounded in the conflict, while those who were unharmed fled to neighbouring Canal and Phom El Zaraf villages. The township, located in Pigi County, has a population of about 2,000 people. “People have started to return to Kaldak, although not all,” Moses Thou, Kaldak secretary of South Sudan Relief and Rehabilitation Commission (SRRC) told the UNMIS team. According to area police, the security situation in Kaldak is calm now. 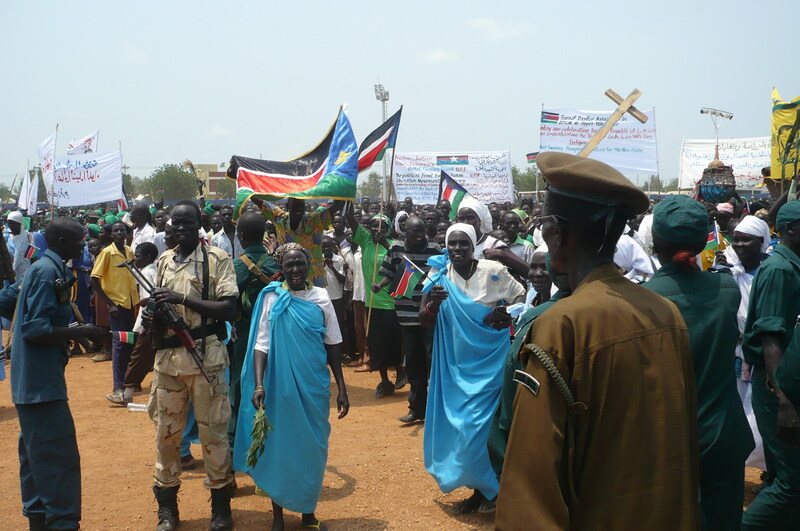 “Thirty-five Southern Sudan Police Service (SSPS) officers have been deployed here to assist the community (with) security,” said SSPS Kaldak Commander Sergeant Major Akoch Thon. But residents are in dire need of food and shelter, as homes were burnt to the ground and the planting season interrupted following the fighting. Eight teachers are conducting lessons for some 520 students under trees, as their school was destroyed in the violence. During and after the clash, UNMIS evacuated 70 of the seriously injured to Malakal in Upper Nile State, cleared landmines out of the area and assisted the Jonglei State authority in post-conflict investigations. Humanitarian organizations, including the International Committee of the Red Cross, helped to bury 17 of the dead, while Médecins Sans Frontières Holland provided medical care such as vaccinations, ante-natal care and medicine to residents for a week in June. The World Food Programme conducted an assessment of non-food-items and food distribution needs. “We hope that humanitarian assistance will be arriving soon so we can start to rebuild our lives,” said Mr. Thou. 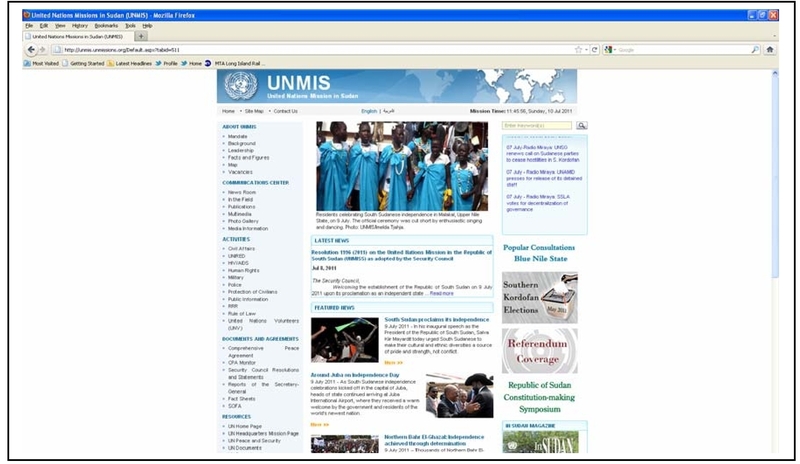 This story was originally published on UNMIS website on 4 July 2011. Recent fighting in Upper Nile State has left over 200 people dead or injured, thousands displaced and property looted or burned, according to local officials. 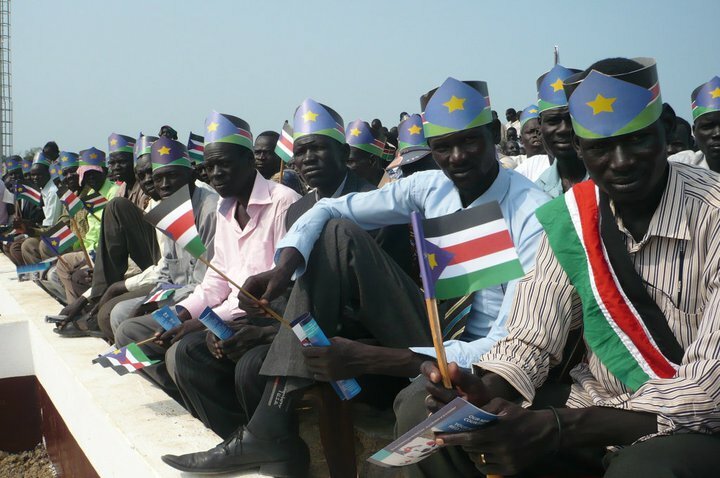 The clashes between the Sudan People’s Liberation Army (SPLA) and militia of so-called “Capt. Olony” began in Detim Payam,PanyikangCounty, on 6 March when a misunderstanding occurred between the two groups at a checkpoint, noted UNMIS Malakal Security Officer Gordon Benn. The next day (12 March), six militias were surrounded by the SPLA and South Sudan Police Service (SSPS). With nowhere to run, they took refuge in theSOSChildrenVillageorphanage, making 103 children their hostages. Shootings between the militias in the orphanage, SPLA, and SSPS resulted in 11 fatalities, including six militia fighters, four SSPS and one SPLA, while nine SSPS and five SPLA were wounded, according to Upper Nile State Minister of Information and Communication Peter Lam. Fortunately, the children all survived. Following the Malakal fighting, the UN Mine Action Office (UNMAO) and MineTech removed seven mortars, four rockets, one hand grenade, and 200 assorted pieces of ammunition from around the town. “UNMAO and MineTech International were thoroughly cleaning the town out from the unexploded ordnance (UXO) for three days in a row from the 15 to 18 March,” Security Officer Benn noted. The exact number of people who were killed or injured in Detim and Malakal remains unknown. But according to Upper Nile State Minister of Information and Communication Peter Lam, the state government recorded about 107 bodies after the Malakal clashes. During the Detim fighting, more than 30 wounded people were admitted to Malakal Teaching Hospital, including about 18 SPLA soldiers. Although these clashes were between the SPLA and Capt. Olony’s followers, civilians were also severely affected, as they lived inside the military barrack. Data gathered by Dollieb Hill Payam Authority indicates that some 3,430 households are now IDPs in the payam. Others fled to Malakal and surrounding bomas within Owachi Payam. But identifying and recording the number of IDPs from the clashes is problematic, as many are living with friends and relatives. UN agencies and non-governmental organizations, including the World Food Program, UNICEF, and the International Committee of the Red Cross, had come to Dollieb Hill’s Obel boma to assess the IDPs’ needs, said boma representative Gatluak Peter Mobir. And the Upper Nile State government had condemned the recent clashes. 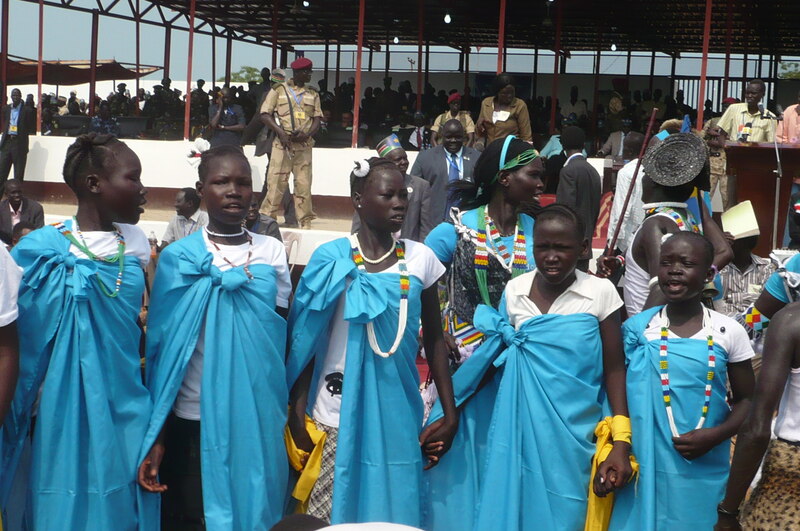 “We have placed the security organs around the town to protect the civilians and their property,” Upper Nile State Governor Simon Kun Puoch said at a Malakal press conference on 21 March. “The Upper Nile State government and Government of Southern Sudan have formed a security committee to investigate the recent clashes,” Information Minister Lam, who also serves as spokesperson for the state government, said during a separate interview. The state government was working on a better security system by making several changes in the hierarchy, Mr. Lam said. The Upper Nile State Security Committee consists of the Ministry of Local Government and Law Enforcement, the Adviser of Security for the Governor, the Ministry of Legal Affairs and Constitution Development, SPLA, SSPS, Wildlife, Mine, and Prison Service. On behalf of the Upper Nile State government, Minister Lam thanked UNMIS for its assistance during and after the clashes. In addition to clearing UXOs and assisting with the wounded, the mission also helped assess the security and humanitarian situations, conducted joint patrols with the SPLA and SSPS, and provided logistical support like air transportation around the counties. 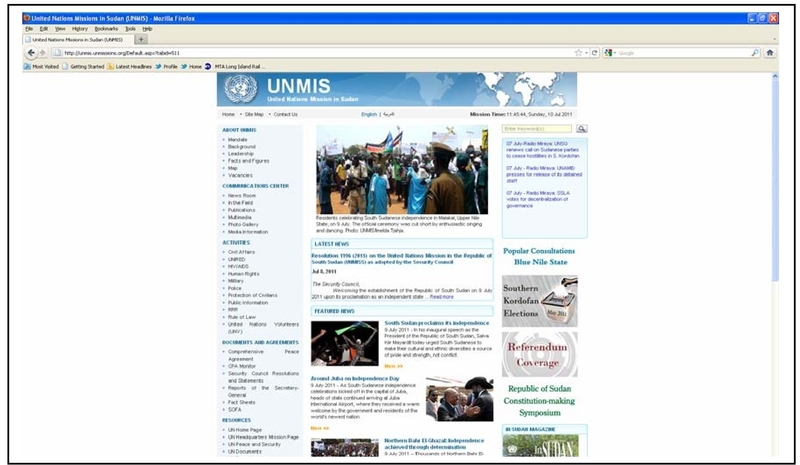 This article is originally published on “In Sudan” magazine April 2011 edition on page 8 & its copyrights solely belong to UNMIS. The building that houses the six female inmates of Malakal Federal Prison sits directly behind the structure occupied by male prisoners. A $1.4 million renovation financed by the Multi-Donor Fund and carried out by the UN Development Programme in 2010 has given the building for women prisoners a surprisingly clean appearance. The agency also donated bunk beds and mattresses for use by the inmates. Another donation of food and non-food items valued at $500 was recently made to the female prison section with funds raised by The Alternate School of Greenfield Park in Canada at the instigation of its alumnus, Capt. Michael Marchand, who serves as an UNMIS military observer in the UNMIS Malakal sector. But the spruced-up facility remains a place of involuntary detention for its inhabitants, who range in ages from 21 to 45 and are serving time mostly for theft and murder. One of the convicted murderers is Nyabang Ukech, a 35-year-old mother of six who stabbed her second husband to death in June 2008, according to prison director Lt. Romano Deng Jok. Her sentence is scheduled to end in March of next year. But Ms. Ukech could see her time behind bars extended if she fails to compensate her husband’s family for his death. That compensation has been set at 20 cows or cash in the amount of 30,000 Sudanese pounds. Ms. Ukech is required to come up with this so-called “blood money” payment under Sudan’s dual judicial system of traditional and official laws unless her former in-laws release her from this obligation. Ms. Ukech said her relatives have shunned her since her incarceration. “They think I’m crazy,” she said. But prison director Jok said that it is Ms. Ukech who has refused to receive her family members when they have tried to see her, adding that she sometimes engages in “abnormal behavior”. The inmate has never undergone any psychiatric treatment during her incarceration because there is no psychiatric hospital in Upper Nile State and the government lacks the necessary funds to send her to Khartoum or Juba for that kind of attention. Mr. Zulu said that Ms. Ukech should have undergone an evaluation for signs of mental illness before being put on trial for murder in the first place. While Ms. Ukech could be looking at an indefinite stay in detention that would violate international law in Mr. Zulu’s judgment, the plight of a female inmate at Bor Central Prison seems even more iniquitous. Athieng Ayuen Yen married a soldier in the Sudan People’s Liberation Army (SPLA) in 1996 and bore him four children over the ensuing 13 years. At the time they were married, Ms. Yen’s relatives sought a dowry of 50 cows from her husband, as required by the traditional customs of Dinka culture, but the soldier delivered only 17 animals. Her family’s longstanding sense of grievance over the dowry issue came to a head after Ms. Yen became pregnant in 2009. Her relatives told her about a wealthy businessman who wanted to marry Ms. Yen and would pay them an ample dowry. Ms. Yen’s family ordered her to leave her husband, who had since married other women and increased his income as an SPLA officer without ever settling the bride-wealth debt. Ms. Yen rejected the ultimatum, insisting that any decision to leave her spouse was hers alone to make. Her relatives then obtained a court ruling that threatened Ms. Yen with the loss of her newborn son unless her husband finally came up with the 33 cows demanded by her family. She rejected the ruling and was sent to prison, where she has spent the last 16 months raising her fourth child. On that score, Ms. Yen has little grounds for optimism. Her polygamous husband has yet to visit her or their son since they moved into the prison in 2009. This article is originally published on “In Sudan” magazine March 2011 edition (page 12) & its copyrights solely belong to UNMIS.